Do you have that show that you really love—that show you know inside out? The one you refer to as your show? I do. 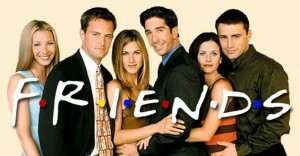 That show for me is Friends. In fact, I’m listening to the Friends theme song right now. I watch at least three episodes of Friends a week, but at one stage a few years ago, I probably watched more. I challenge anyone to tell me a fun fact about Friends that I don’t know (Monica’s apartment number changed twice! ), an obscure character I haven’t developed an elaborate back story for (#Precious4president), or a situation I cannot quote (“From now on my sweatpants are the one”). This intro is sounding vaguely like a confessional but Friends has always been there for me (it’s there for me, like it’s been there before, it’s been there for me and maybe after reading this it will be there for you too). But why, you may ask, do I need to talk about Friends? The last episode aired back in May 2004, after all. What possibly can there be left to say after the billions of think pieces that are out there (and I know there are billions, I’ve read probably half of them). The fact that Friends remains amazingly popular with millennials is just one reason why it’s still worth talking about. Each time I watch Friends I get something different out of it. I sympathise with different characters and increasingly relate their mid-twenties life to my own. I find comfort in knowing that their lives will always work out, always round off nicely and always settle on an amusing punchline. The show has a positive vibe. In Season One when Phoebe (Lisa Kudrow) is asked if she has a life plan; she states through a mouthful of punch, “I don’t even have a Pl’ ”. The truth is Phoebe doesn’t need more than a Pl’ in Friends land: you take it day by day and before you know it you are running into Alec Baldwin at the dry cleaners and your sad day is happy again with the light of ‘1000 twinkling fairies’. Perhaps that feeling of comfort is what is missing from our current fabulous array of TV shows . Some aspect of the show have not aged well, though. Ross (David Schwimmer) particularly cops it on the internet for being a pompous, homophobic, controlling, narcissist who hates ice cream. Poor Ross, it is all true, but he is also a sensitive and caring narcissist who hates ice cream, a midway point in the evolution of sit-com characters—from the man’s man types of the 70s, to the unlikable-likable types of Seinfeld, to today’s complex and varied smorgasbord of love interests. In my most recent re-watching I have been thinking a lot about Rachel (Jennifer Aniston). I would argue that she has in many ways the most feminist(-ish) storyline of the show, and this feminism is all centred around independence. In the show’s first season, Rachel leaves a man at the altar and stops using her daddy’s credit cards to live in the city with Monica (Courtney Cox). She learns to look after herself and by so doing changes from just being a beautiful, spoilt pushover into an independent, thoughtful powerhouse. She becomes financially independent, gets a great job and eventually raises a baby in the city. Of course, she could not do all of this without her friends, because they give her the grounding she needs to figure out what is important to her. It is for this reason that Rachel famously gets off the plane which was headed towards her dream job in Paris. She loves her friends (and Ross too of course). The story ends here with the on-again off-again couple together at last. This could be interpreted as Rachel being brought back into the control of domesticity, but I don’t think so. Ross has been married a bunch of times so why marry again? I like to think of Ross and Rachel living together in a very happy de facto relationship (they have after all grown up a lot since Season Two). Damn it, Rachel doesn’t even necessarily have to choose between her man and a career, maybe she keeps the job in Paris whilst being in a relationship, she is headstrong and will choose, who knows what, anything can happen in Friends land. Boyfriends and girlfriends come and go with more frequency and implied ‘looseness’ in seven episodes of Friends than in a whole season of Girls. Relationships are a key feature of the sitcom genre but what the show does differently is portray male and female platonic friendships. In every Friends fan’s least favourite season, Rachel and Joey kinda-sorta go out for a bit. This is uncomfortable because up until now the show had been so good at depicting the joys of their friendship without pushing any romance onto it. There was flirtation, maybe even a little crush, but the sit-com romance story arc wasn’t there until then (the Monica and Chandler coupling up situation is completely different because they had some mad chemistry). By the way, the worst thing about Friends is that they invented the phrase, ‘the friends zone’. The show forgot itself for a moment and devalued the very thing it was all about, which is friendship guys, obviously! I still haven’t talked about how Monica is the best character ever, about my feelings towards Elle McPherson’s cameo, or about why I named by goldfish Joey. Why? Not because I’d sound like a weird obsessive crazy person, I have made my peace with that. I haven’t because the point I wanted to make here was that we should take comfort in our comfort shows. We can still be critical of our past favourites–that is part of the fun of the re-watch. I’ll end with one thing I have decided after my last viewing: I think they were on a break, *double clap sound*. 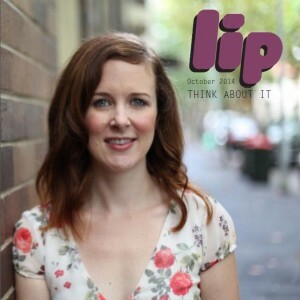 Hannah Rogers is a writer and radio producer from Hobart, Tasmania. She talks about writing on her Instagram as @hannah_ruby_rogers. This entry was posted in Film, TV and tagged tv, tv review. Bookmark the permalink.